Have you ever collected stamps? So beautiful – each one a work of art, a lesson in history and/or geography, science, etc. 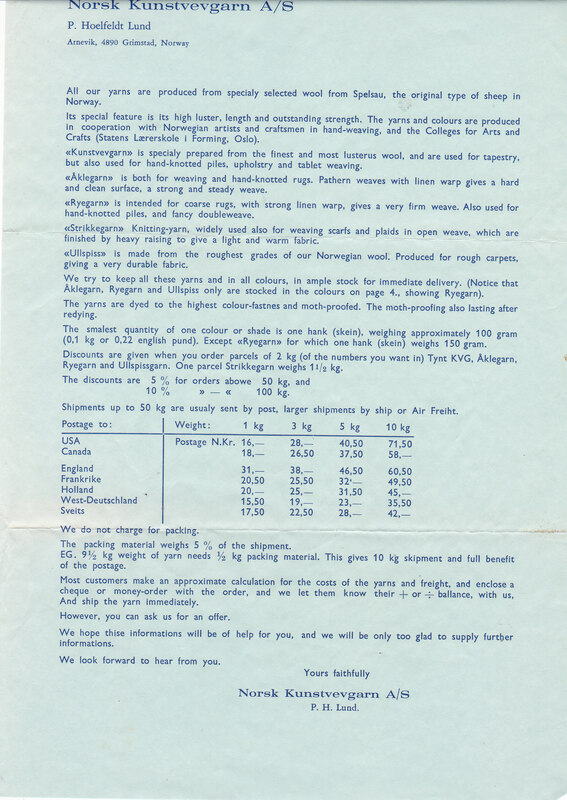 In sorting through my various papers, I’ve come across a bit of correspondence that I had back in June-August 1976. We were in Fiji at that time. I was just getting into serious weaving. Wool was not readily available so far as I knew. So I must have thought of writing off to Norway to get some samples. 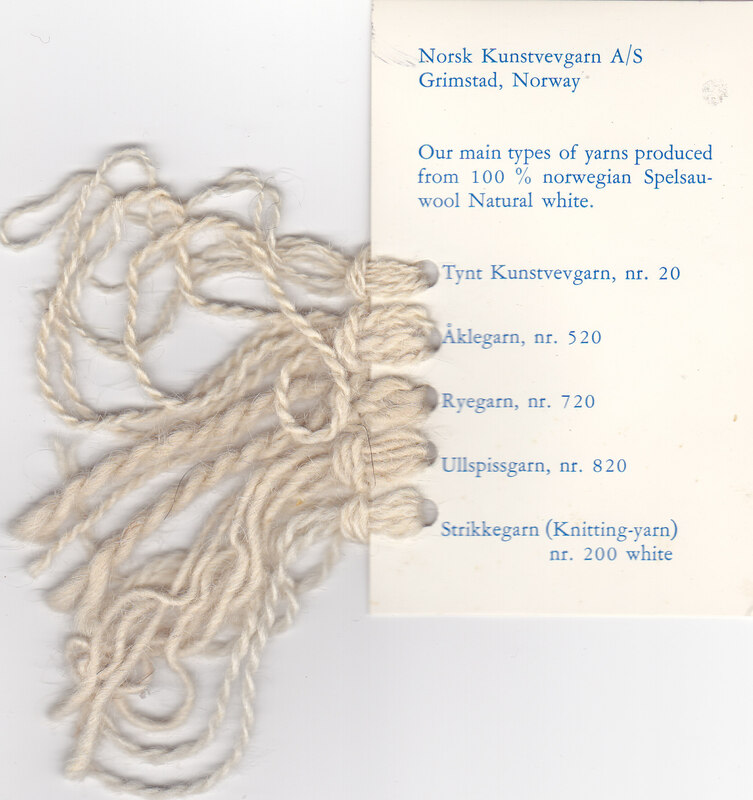 Searching for the firm on the internet today I find that their main business is fabrics for technical use, they employ 1-10 people, and they are still in Grimstad Norway. A nice photo of their yarn is on Flickr. Now I must check my old labels and see if I’ve used any of their knitting yarn recently. I do like Norwegian knitting yarns. And looking at the Google map, I find that Grimstad is located in a very southern part of Norway, south of Bergen, south of Stavenger, and near to Denmark. A postcard from 1957. Rather nice images of London. 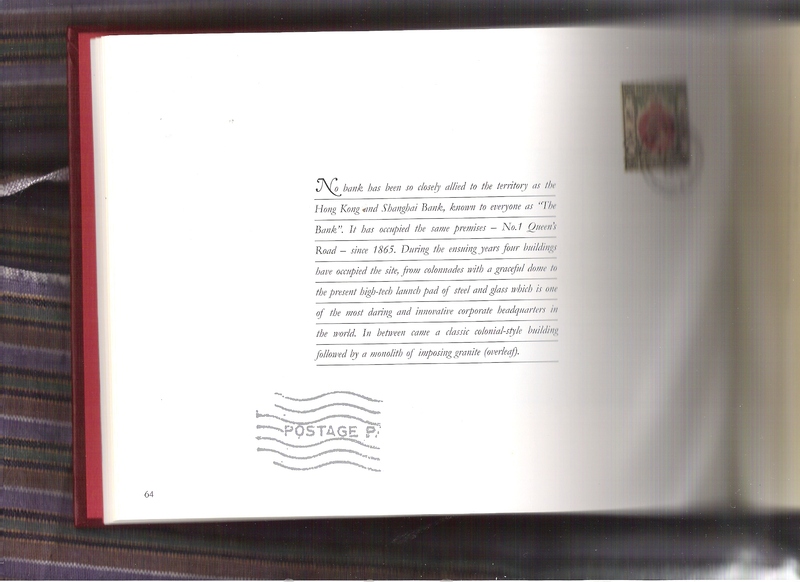 A House of Commons postmark and a 3 penny purple stamp with a very young queen. 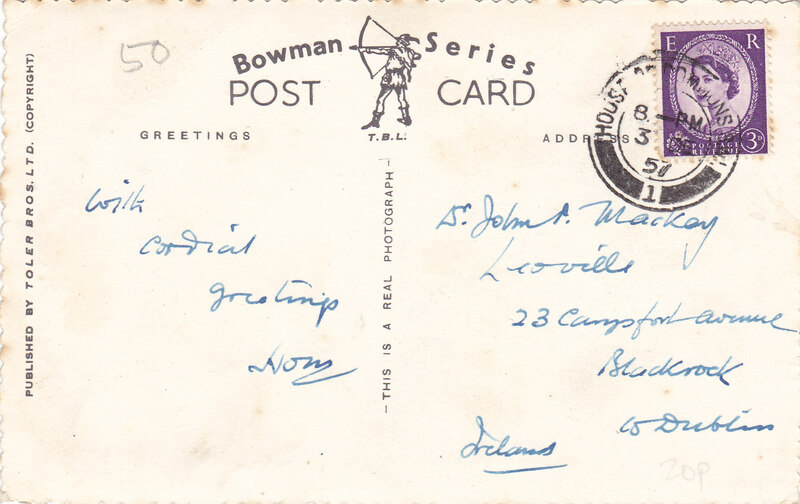 And addressed to a Dr. John Mackey or MacKay on Carysfort Avenue in Blackrock County Dublin. No relation that I know of. 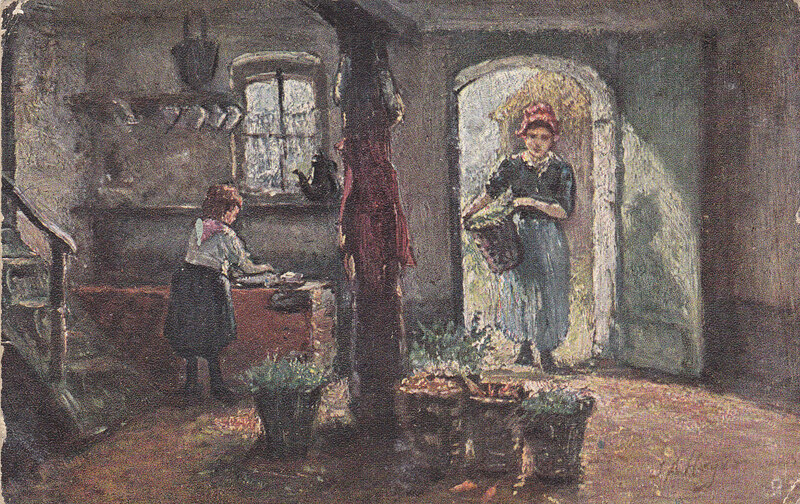 A link regarding the stamp explains that this stamp was known as one of the Wilding issues – they were based on photographs by a Dorothy Wilding. 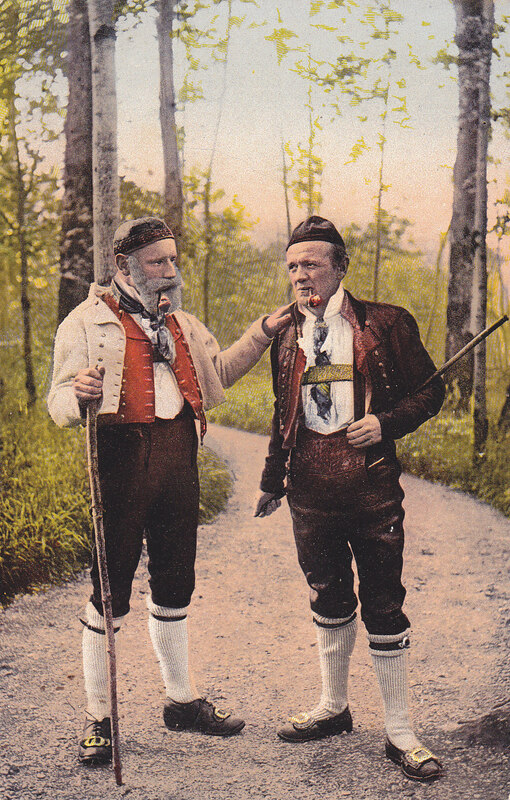 I am going through some of my old postcards and trying to date a few of them. I tend to like the tinted ones dating from the first half of the 20th century. Here are a few from my collection. 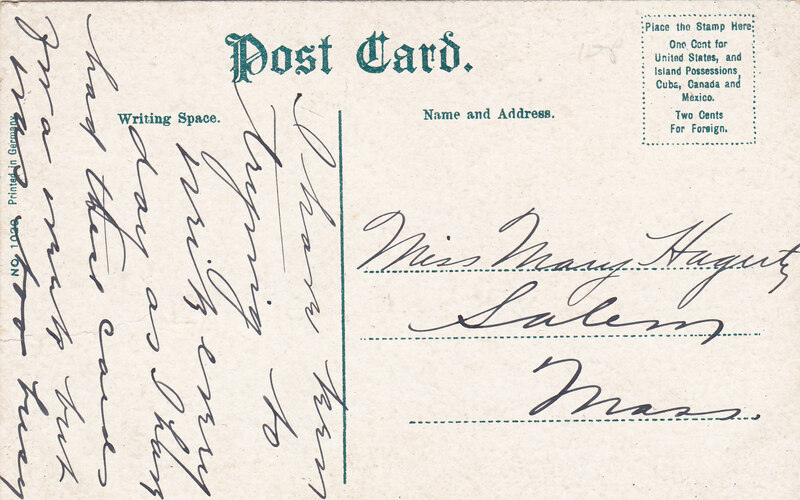 Only one of them has a postmark – 1908. I’m wondering about dates for the other three. 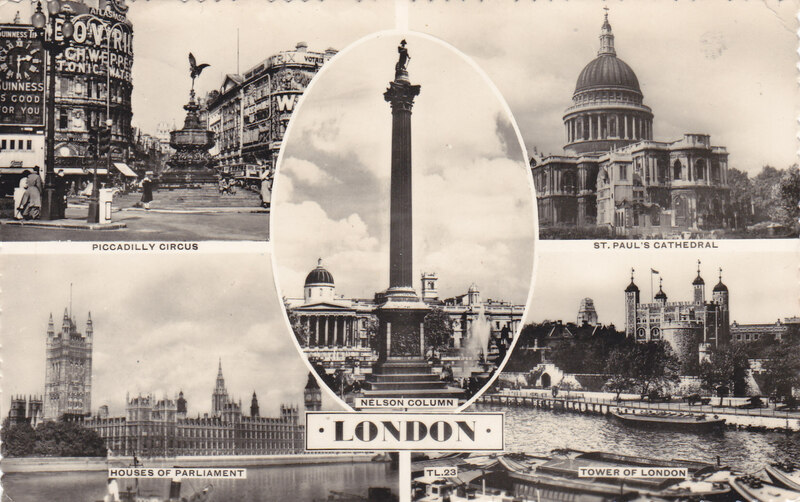 This card is postmarked London 1908. 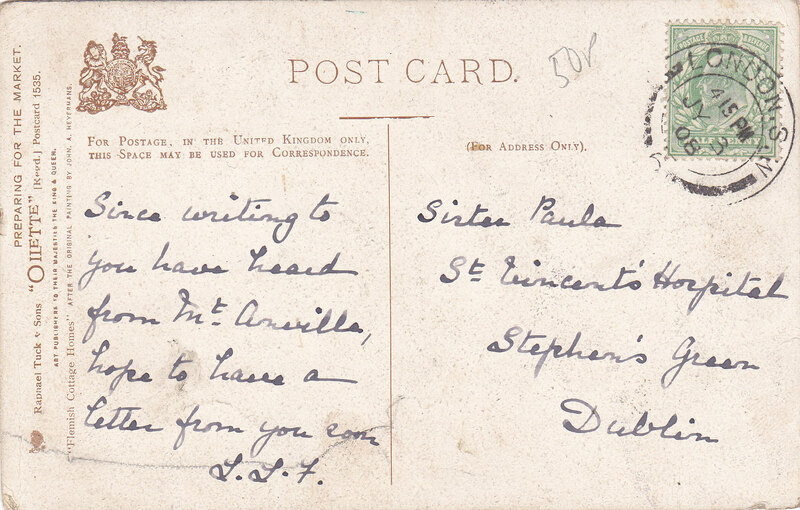 Sent to Sister Paula at St. Vincent’s Hospital in Dublin. Note, St. Vincent’s Hospital was on Stephen’s Green at that time. 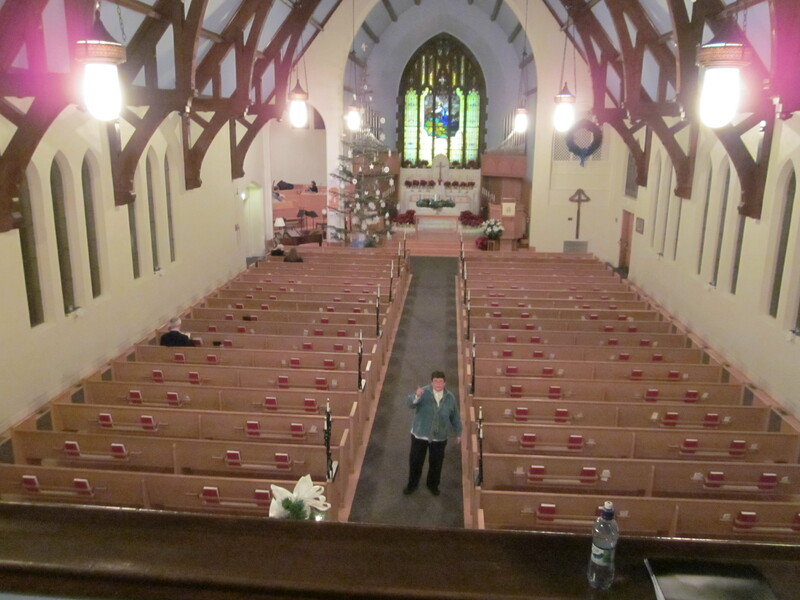 The sender has had a message from St. Anville. I assume this is the well known all girls Catholic School in Goatstown, maybe 2 miles from St. Stephen’s Green. It is within walking distance of where we lived in Dublin. Former President Mary Robinson, and many other prominent women in Irish life, attended Mt. Anville. 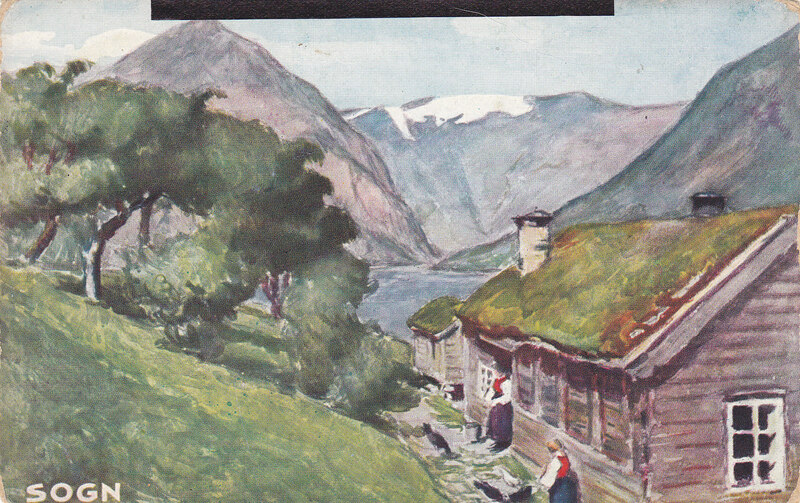 No date or stamp or message on this postcard from Norway. Sogn is an ancient traditional district in Western Norway. 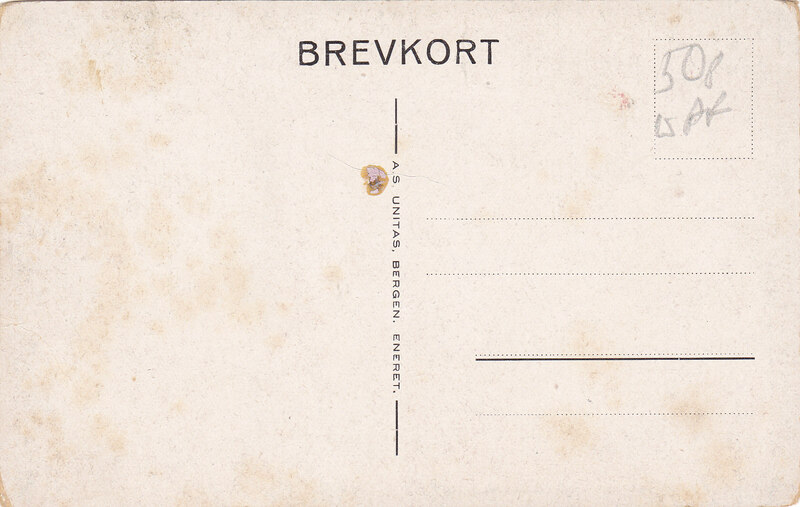 The card was printed in Bergen. 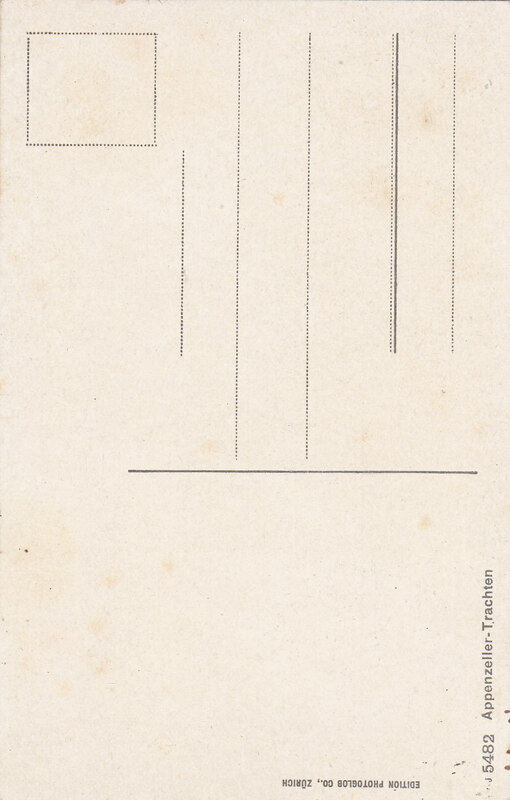 this card is from the U.S. 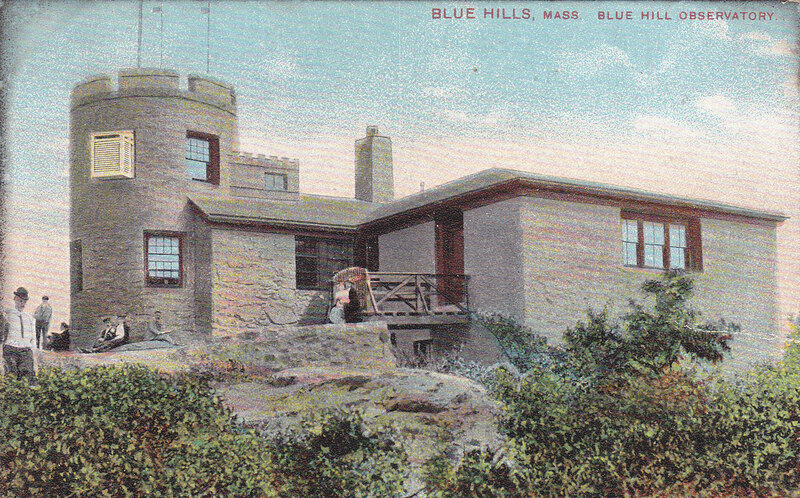 The color-tinted image is of the Blue Hills Observatory in Blue Hills Massachusetts. The message was for someone in Salem Massachusetts. Blue Hills is in Milton Mass., south of Boston; Salem is north of Boston. Checking on google I now find that there are 2 Blue Hills places – a Blue Hill Observatory and a Blue Hills Observatory Science Center, several miles apart. The Science Center is in Canton, Mass. this image is from the internet and is of the Science Center. Possibly my cousins can enlighten me on what has happened in this area. The road system has certainly all changed since our family lived nearby. I-95 is new to me. And Route 128 was built long after the time of the old postcard pictured above. 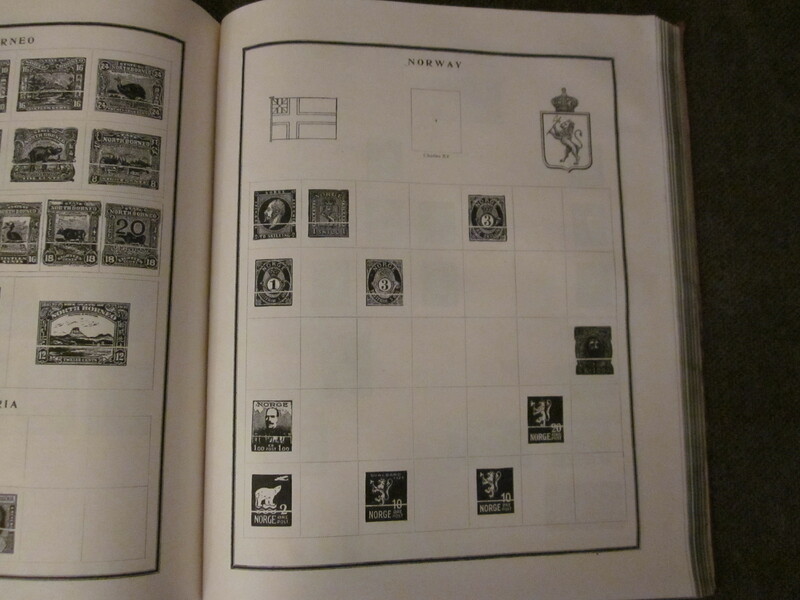 Once upon a time, long long ago, I had a stamp collection. My interest in stamps ebbed and flowed, only surfacing occasionally after the age of about 10, I suppose. 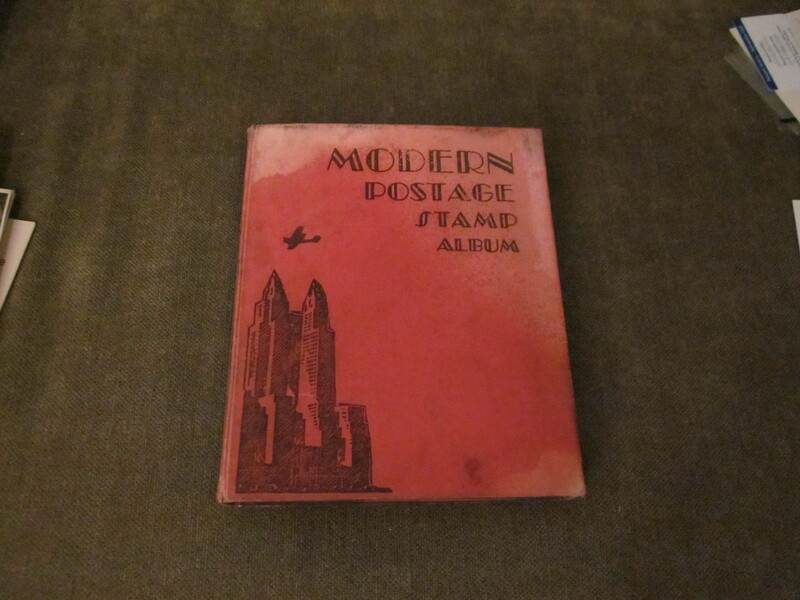 my stamp album, which got left behind in the attic of our family home – when my mother sold the house and moved to Hawaii, the album was rescued by my sister Ruth and resided for many years in her barn in New Hampshire. I remembered the album as being chock-a-block full of stamps. 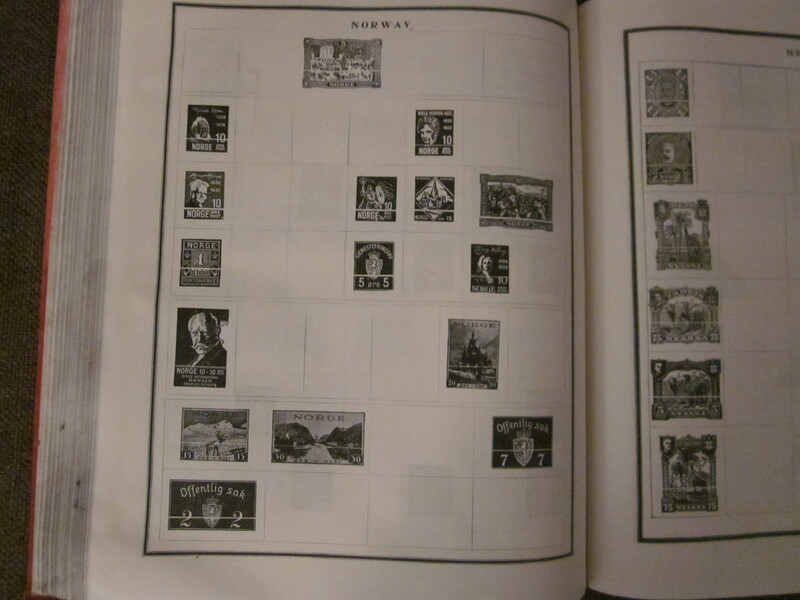 But in reality – here are 2 sample pages of what I found – no actual stamps on these 2 pages for Norway – just the black and white samples of stamps of the time. These are the 2 pages for Norway. 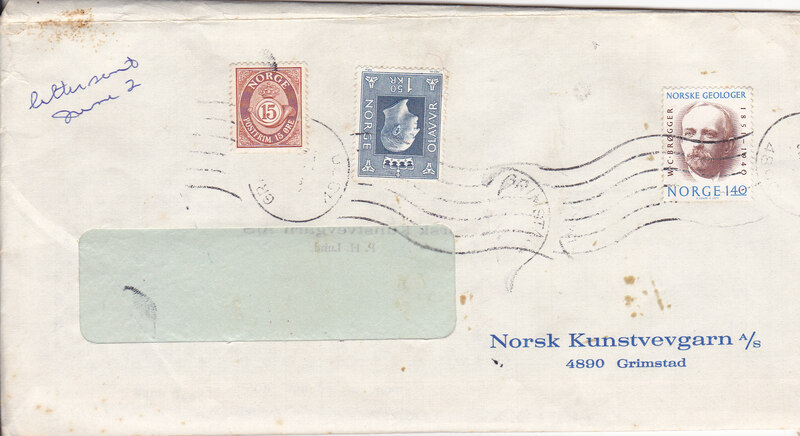 Evidently I didn’t have any stamps from Norway. 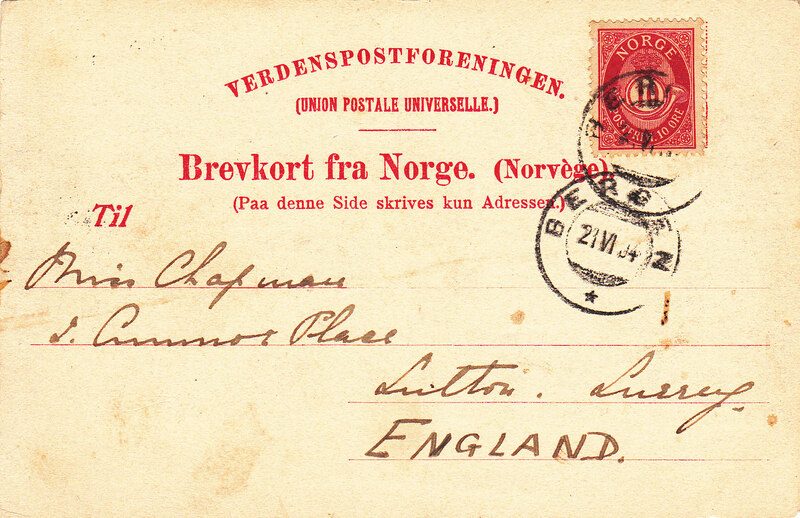 But in my middle years when I became interested in stamps again and my good old red stamp album had been moved from the attic to the barn, I had a penpal who lived in Norway. 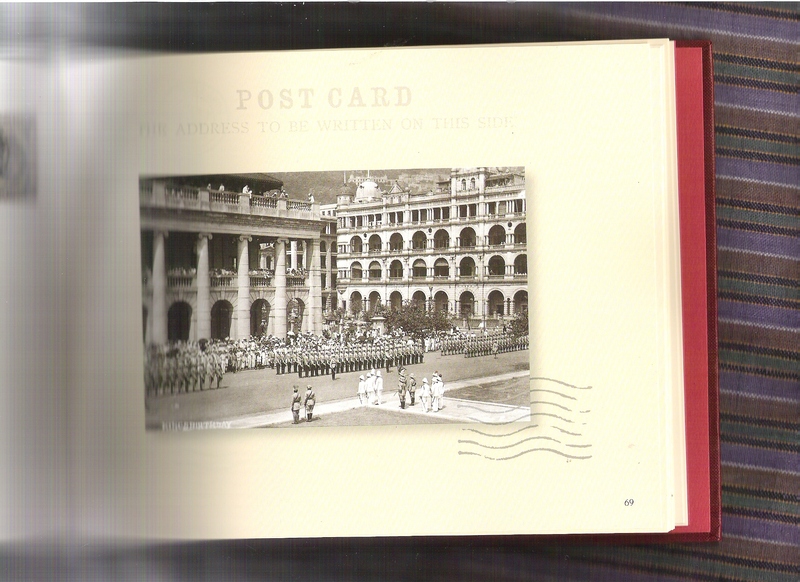 So I am sure I have some Norwegian stamps which would fit very nicely on to these blank pages. 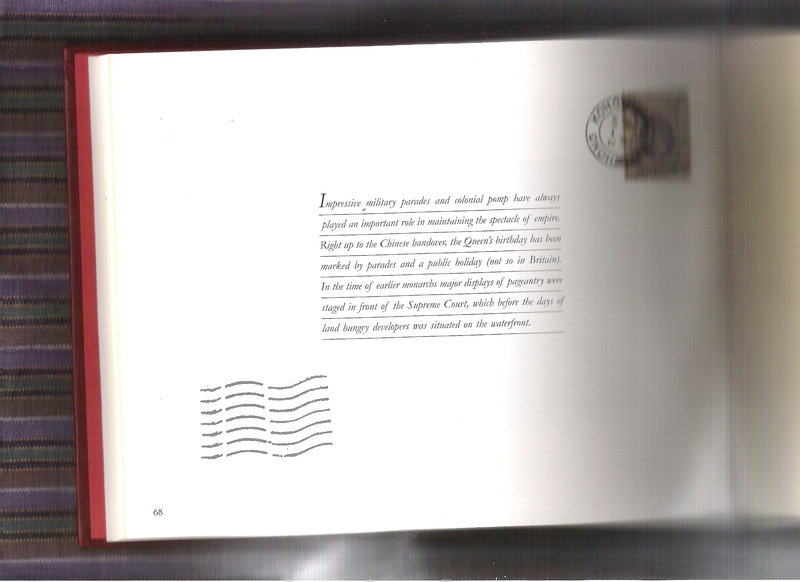 When we lived in Fiji in the ’70’s we belonged to a stamp collecting club – a philatelic circle if you will. And we also built up a fair collection of Irish philatelic material – and stamps as well from when we lived in St. Lucia in the Carribbean. 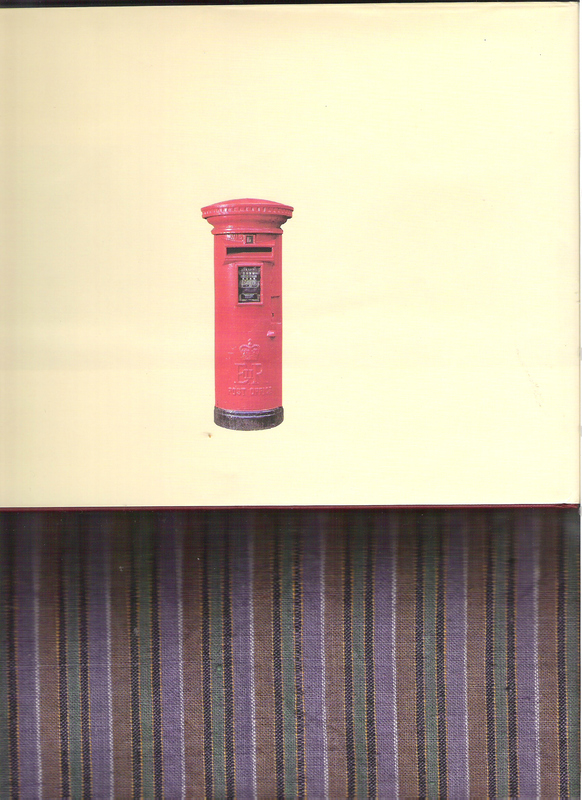 So we do have lots of stamps to fill the pages of this album – if we ever get around to it. 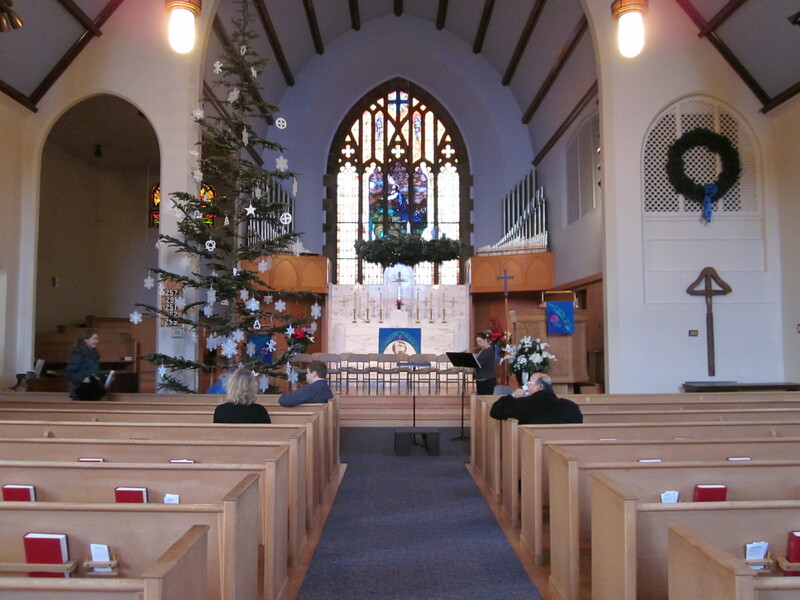 The reason I picked on Norway to show the blank pages in my old album is that we have had a rather Scandinavian/Norwegian Christmas with several lovely services in the Ballard First Lutheran Church. Rather a change from Taney Church of Ireland in Dublin. There were many similarities though so I wasn’t completely lost. 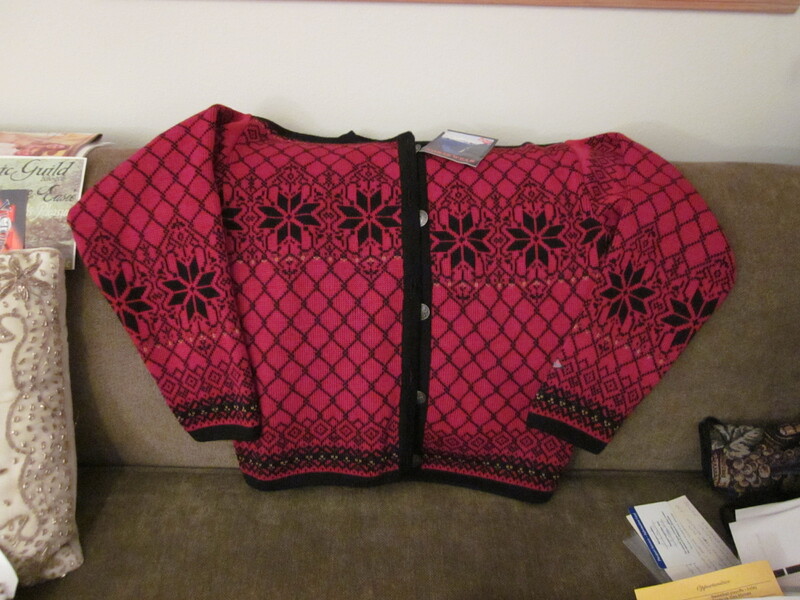 And the display of Norwegian Dale of Norway, Norskwear type sweaters was most eye-catching. I was even given a lovely cardigan for Christmas. 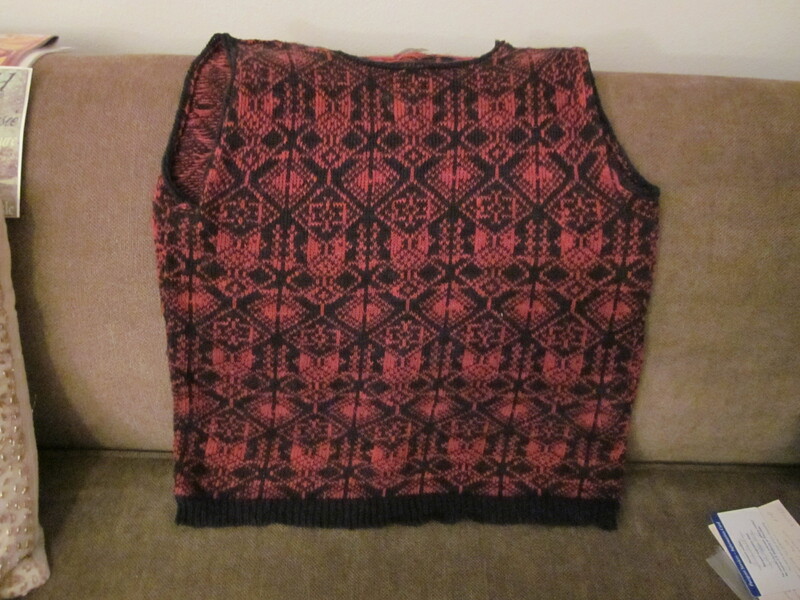 But I chose to wear an earlier Scandinavian type garment – a sleeveless sweater designed and knit by Joyce Forsyth who has her studio in the Cornmarket in Edinburgh. This is hardly a winter scene but it will have to do. 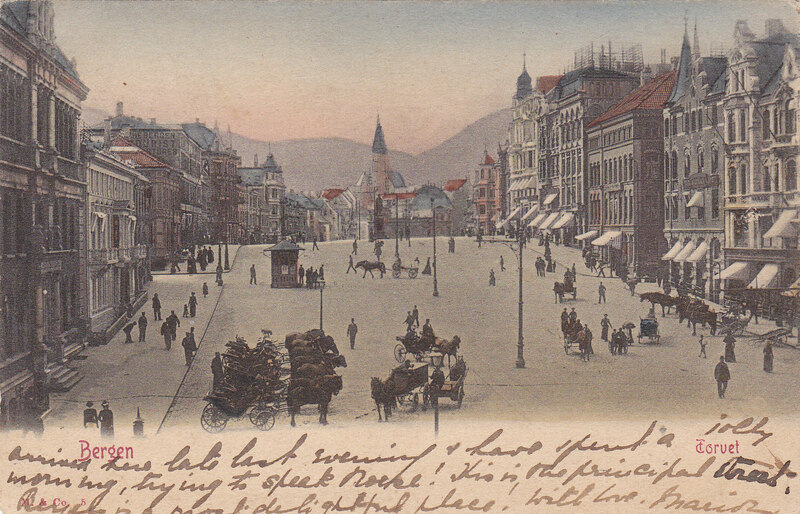 Bergen, 1904. The street is so wide. I don’t remember any street this wide in Bergen but I was only there briefly in 1959. I love reading social history type books and this is a good one, so far. 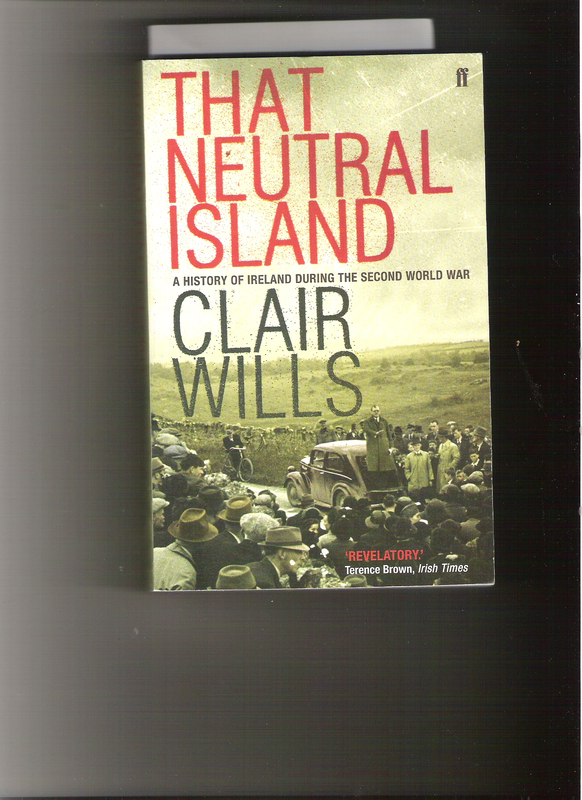 That Neutral Island, A History of Ireland During the Second World War, by Clair Wills. I was just a youngster during the War Years and was only aware of what was happening in my more immediate world of family and neighbourhood friends. In the suburbs of Boston we were not affected by the War in the same way as countries on the other side of the Atlantic. Now living in Ireland for so many years I have been very curious about what life was like here during those crucial years and I love hearing my contemporaries tell what their experiences were during this time. One friend, slightly older than I am, tells me that she was at boarding school during that time – a boarder at Wesley College, located on Stephen’s Green. She was hardly affected. And when she went home it was to a farm in County Kildare. No shortage of essential food there. But curiously, and what a number of people have said, is that she never knew what a banana was until after the War. This is one of the things that seems to stand out in people’s minds when they remember the War years. Only it was not War as such – it was called the Emergency. One of my memories of the Second World War is of the day the Japanese bombed Pearl Harbor – it was my fifth birthday. The terrible news came through on the radio. I was sitting at the desk in our living room and for some reason had a fountain pen in my hand – I accidentally spattered the wall with blue ink. As the War progressed I was aware of not being able to get butter and we had Oleo margarine as a distasteful substitute. We saved fat and took the tins to the local butcher. Spam was frequently on the menu. 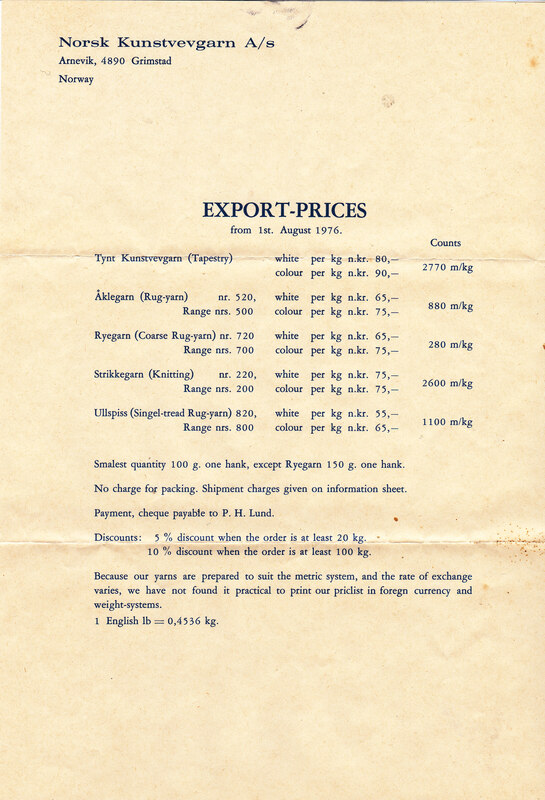 Gasoline was rationed so trips in the family car were few and far between. You could hardly say we suffered. My brother graduated from high school the following year in June 1942 when he turned 18 a month later, he enlisted in the U.S. Navy. We were very proud of him in his uniform. Our thoughts and letters followed him around the U.S. as he went from one training station to another, Lake Forest Illinois, San Diego California, Fitchburg Massachusetts, Pensacola Florida. I became more aware of the geography of the U.S. Occasionally he came home on leave and how happy we were. Much to my father’s relief my brother was not sent overseas and eventually he was honourably discharged when the War was over. My older sister graduated from high school in 1943 and enrolled for nurses’ training in Mt. Auburn Hospital in Cambridge so she continued to live at home. And my other sister graduated from high school in 1944. She went down to Washington to do secretarial work in one of the war departments. Ireland was a part of the world I scarcely heard of. The headlines during those years were all about the War in the Pacific and not so much about Europe, and more particularly not about Ireland. I was certainly not aware of the thorny issue of Partition and Ireland’s troubled history. I might possibly have had an awareness of Ireland through the medium of Irish fairy tales. 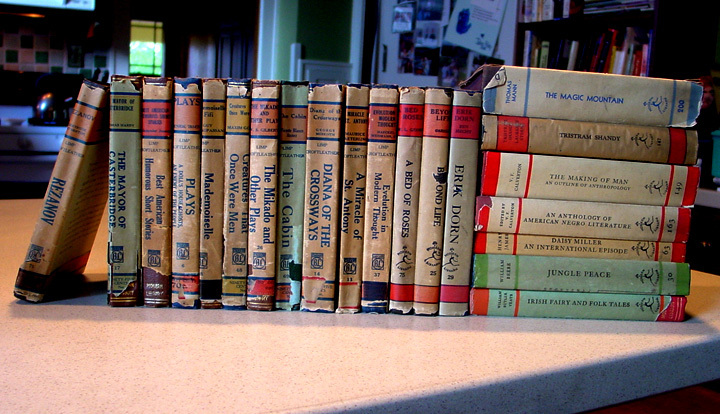 Modern Library books were popular in our house and I see that a volume of Irish Fairy and Folk Tales was an early publication in the Modern Library Series. 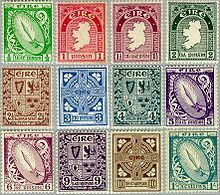 As the years went by I became a stamp collector, and I still have some of the Irish stamps which I first collected in the 1940’s. The following images and information are from wikipedia. first definitive series, low values, issued 1922-23. The designs were: Sword of Light, Map of Ireland, Celtic Cross, Arms of the Four Provinces and St. Patrick. 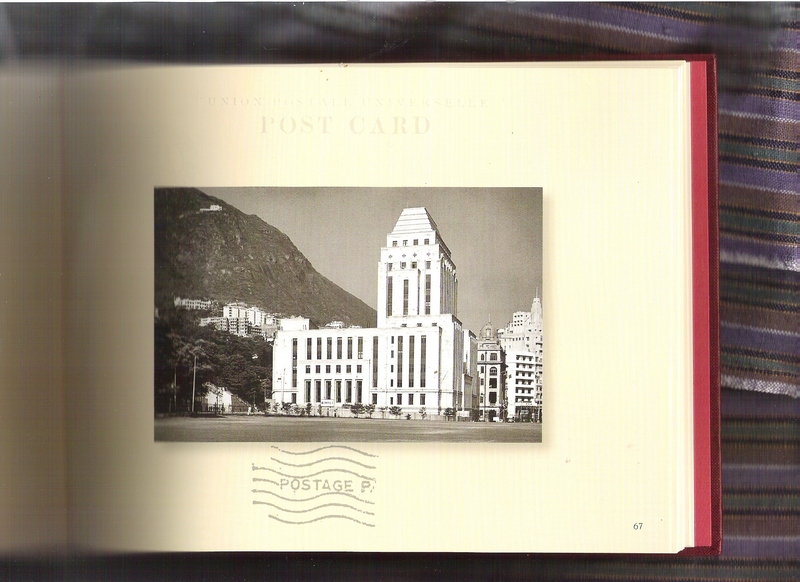 I am always on the lookout for postcards to add to my eclectic collection. 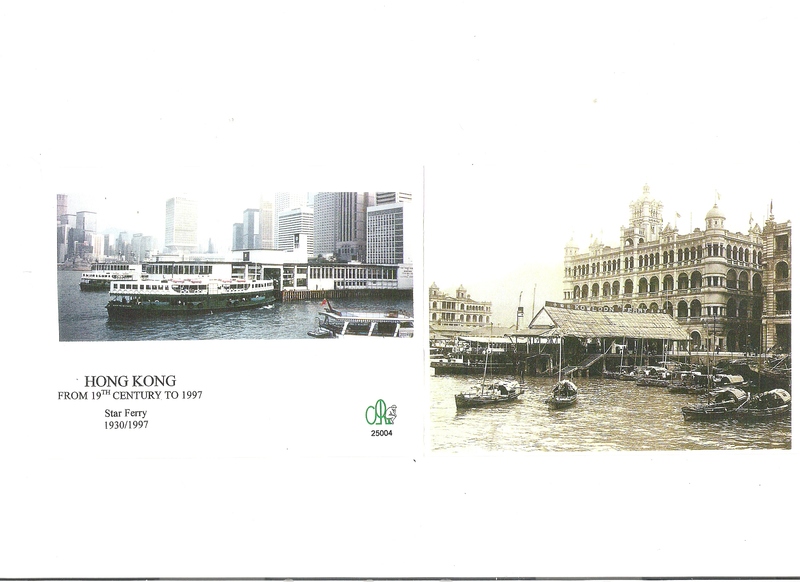 When I was in Hong Kong, I had high hopes of finding something unusual but all they had were the touristy glossy ones. In Dymock’s Book Store in Stanley though I found some notecards which were reproductions of old photographs. 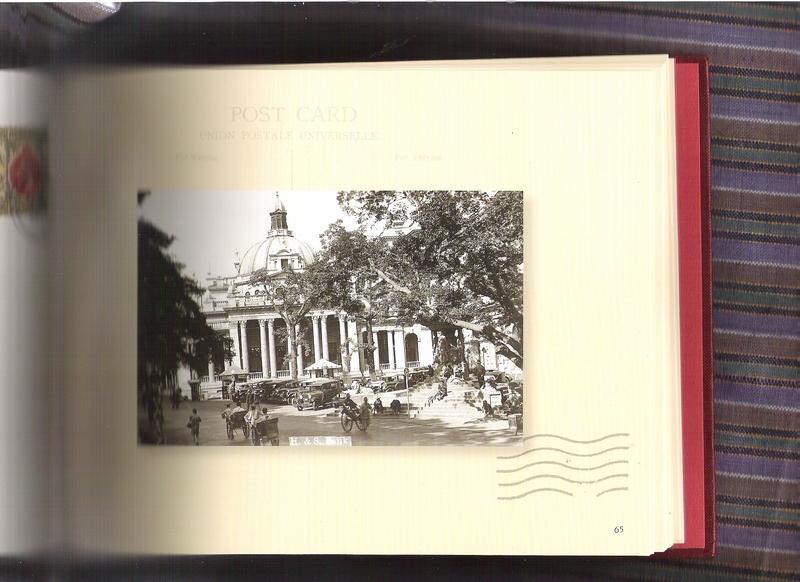 On the front of the notecard was an old photograph and on the back was a more modern photograph. Here are 2 I bought – unfolded to show the front and the back. These cards were done by Catherine Art Depot and in looking up their website I find they do all sorts of interesting things. 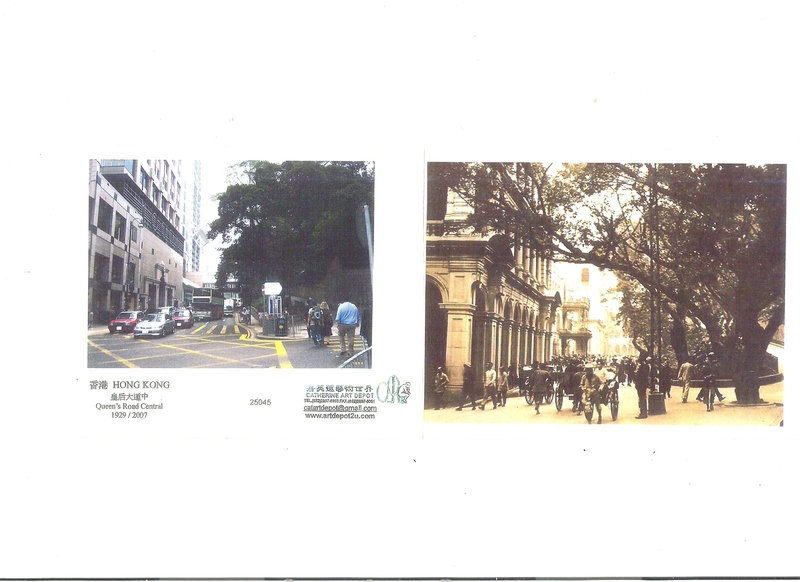 Alas, my days in Hong Kong were too short to follow up with an on-site visit or phone call to inquire about sources for old postcards and photographs. An idea for my next visit. Along the same idea, my college friend Bonnie recently visited Jerusalem and she sent me a notecard which she found in the Christian Quarter at the Elia Photo Service, Kevork Kahvedjian, Photographic Dealers. 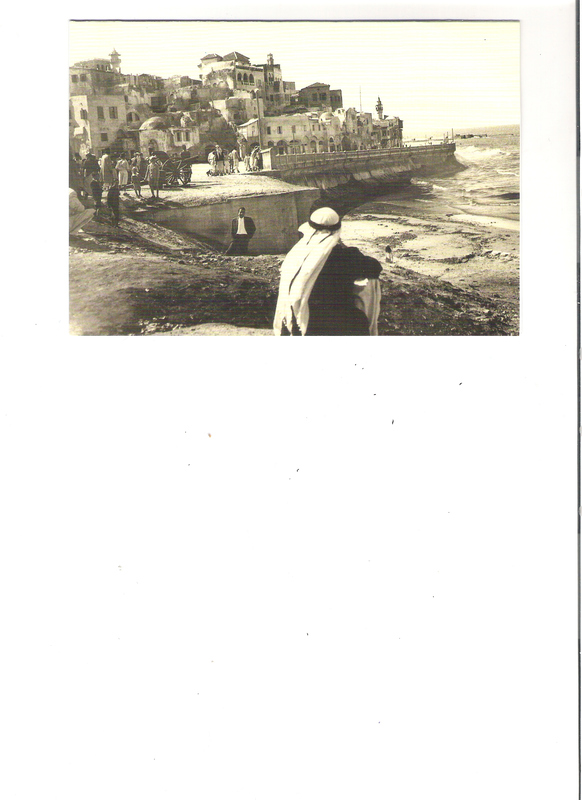 This notecard featured a photograph of the Port of Jaffa. Elia Photo Service is run by 3 generations of an Armenian family in the old city of Jerusalem. The grandfather, Elia Kahvedjian, 1910-1999, took the photo in 1936, the year Bonnie and I were born. Incidentally, the name Kahvedjian is very familiar. The town I grew up in (Belmont, Massachusetts, a suburb of Boston) was ethnically quite diverse and a number of my school mates had names that were similar. These modern reproductions have a value all their own. 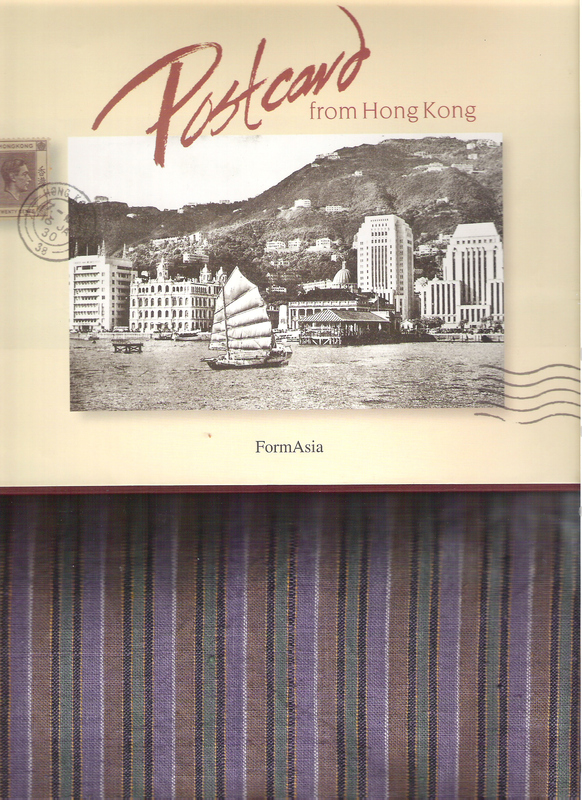 As far as old postcards go though, all I could find in Hong Kong was a book about them. But this book is a treasure in itself. It was written and published just before the handover in 1997. 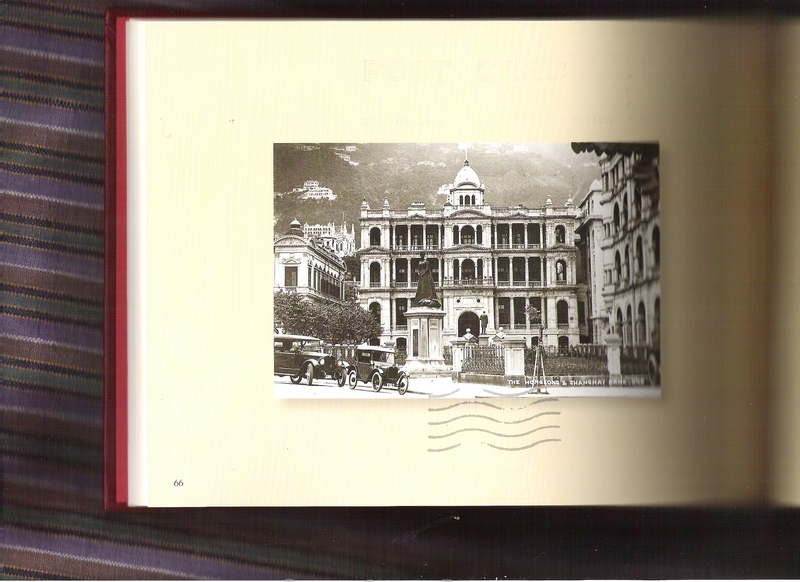 The reproductions in this book do not include any messages that were written but the photographs and the stamps of the time are of great interest and are reminders of aspects of the history of Hong Kong. Here are just a few samples from the book.